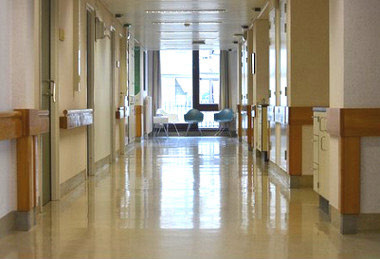 Cornell's 4000 Series nurse call system monitors bedroom & bathroom call stations across your facility. 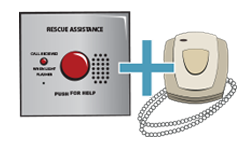 Residents can easily request staff assistance using a large mushroom style button or a pull cord call station. Staff can track calls using corridor light fixtures, wall mounted annunciator panels. 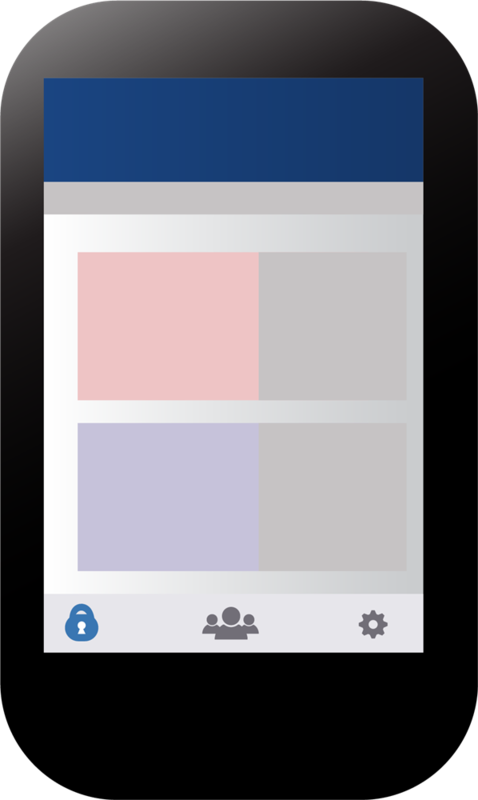 Staff can even communicate using Android or iOS devices when using inform. Upgrade your visual nurse call system with Cornell's state-of-the-art inform mobile nurse call system. 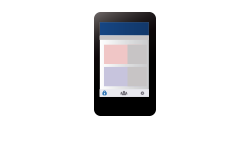 The inform mobile nurse call system monitors multiple call stations spread across different nurse call systems. Facilities who use the inform mobile nurse call system get detailed data on each call and have access to value-adding data impacting their KPIs. 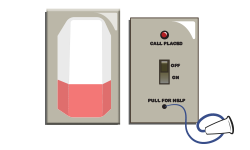 Someone Requests Assistance Using a Call Station: An individual can press a wall mounted mushroom button or pull cord and activate the call station. Calls are Communicated to Staff: Once a call is placed, an annunciator panel will light up indicating the location of the call and emit a tone to indicate an emergency or a normal call. Staff Address the Call: Staff address the call quickly, using the corridor lights to locate and identify the issue at a glance. A Nurse Call Annunciator: A single, wall mounted annunciator panel capable of monitoring up to 48 individual zones. More zones mean more annunciators. A Call Station: Mix and match mushroom style push button stations and cord stations to find the right fit for your facility. A Corridor Light Fixture: Light fixture above the entryway to the room where the call was placed. 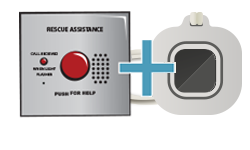 Control Module: Generates two different signals to distinguish between emergency calls and regular calls for assistance. A 24VDC Power Supply: Powers the system. Need something custom for your facility? Don't worry. We're here to help. Configure a custom nurse call system and get a free quote. Cornell Communications does more than design and build nurse call systems for nursing homes. The 4000 Series visual nurse call system, the IndePendant wireless nurse call system, and the inform mobile nurse call system are all excellent nurse call systems for hospitals. 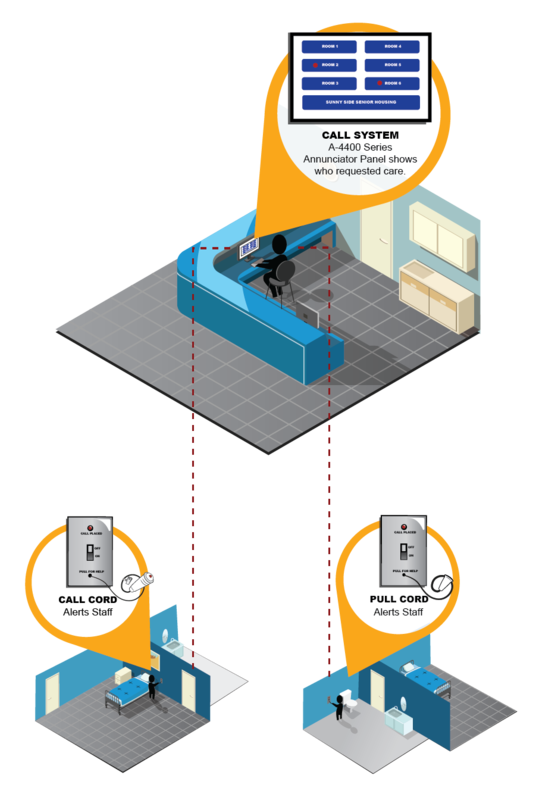 Capable of monitoring 48 individual zones from a single wall mounted annunciator panel, the 4000 Series nurse call system is an ideal choice for hospitals of all sizes. The IndePendant wireless nurse call system is perfect for hospital wards where patients are more active and have greater freedom. The inform mobile nurse call system eliminates irritating lights and bells, reducing the amount of background noise, perfect for recovery wards. Whether you're building a new facility or renovating an existing one, Cornell Communication will help you design the perfect hospital nurse call station. 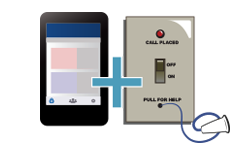 Visual nurse call systems from Cornell are popular in nursing home and assisted living centers where many residents may be hard-of-hearing. 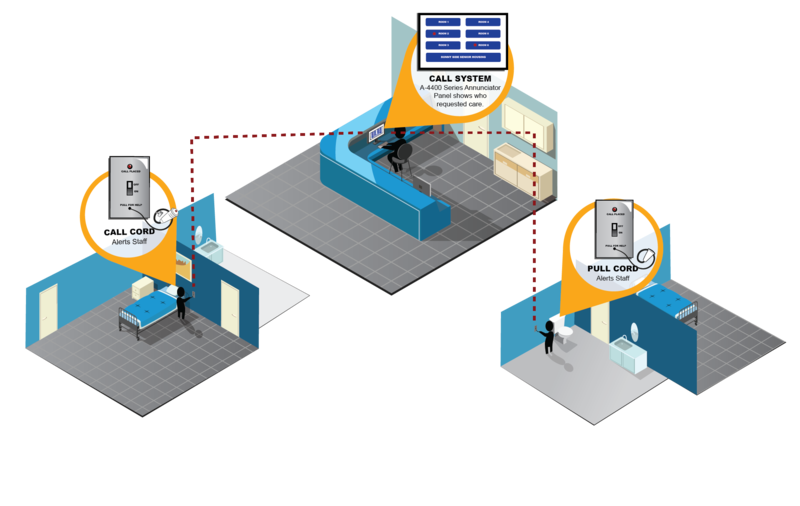 With any Visual Nurse Call system, adaptability is key to ensuring it meets the individual needs of your medical facility or outpatient clinic. 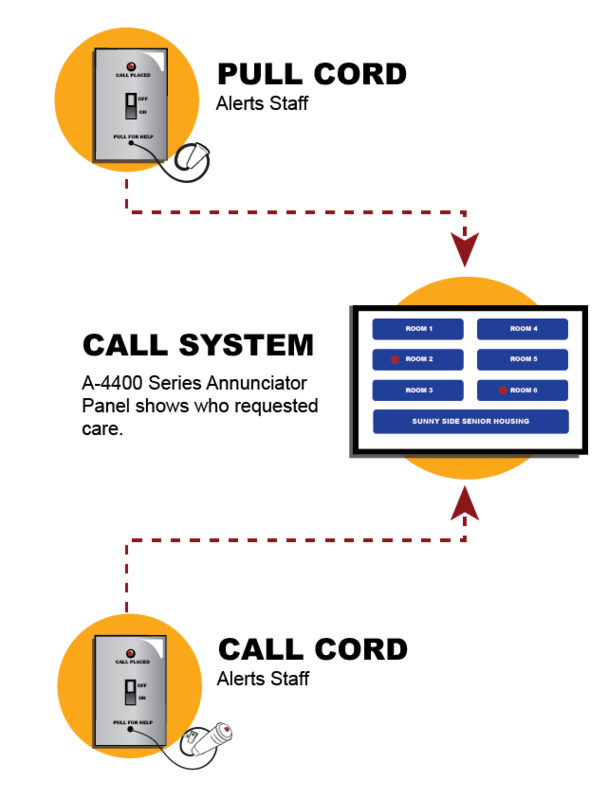 The call system manufacturers at Cornell Communications have designed a wide range of standard products in configurations to meet the unique, and often evolving, requirements of our customers. Our nurse call system design services ensure your system's emergency communication capabilities are perfectly suited to your Skilled Care, Memory Care, Independent Living or Assisted living residents and staff. Visual Nurse Call Light Systems from Cornell Communications will provide your clinic with a flexible and dependable communication tool. Our call systems for outpatient monitoring provide reliable information, fast emergency communication, and enable efficient response times. Start with the basic system, which includes a Corridor Light and a Room Status Station (with three lighted buttons indicating up to six conditions with a steady or flashing light), then build from there. Cornell Communications is the leader in renovation projects because we custom manufacture mounting plates for special applications. If you need to cover a non-standard mounting location, multiple options are available. Older facilities looking to upgrade to a newer system find the basic Visual Call System (Series 4000) ideal because of its simplicity. Often this system can be installed using existing wiring, eliminating the need for costly rewiring and electrical work. Our employees and affiliated installation contractors provide nurse call system installation services to ensure all components are wired properly and function correctly. Contact the visual nurse call system specialists at Cornell Communications for more information on our wide range of emergency visual nurse call systems.